Game conference Reboot Develop Blue, indie publisher Good Shepherd Entertainment announced it has acquired a majority stake in Artificer, a new Warsaw based game development studio founded by the core team responsible for Hard West and Phantom Doctrine.Artificer is already equipped to punch well above its weight class: the team consists of over 30 award winning industry veterans who have previously worked on numerous acclaimed titles including the Call of Juarez and the Dead Island series. Good Shepherd Entertainment and independent developer CreativeForge Games have released a new free content update adding customized user content creation support and more to the Cold War thriller strategy game Phantom Doctrine on Windows PC. In addition, players and double agents can grab Phantom Doctrine on Steam for 50% off from now until Thursday, February 28th. Good Shepherd Entertainment and independent developer SuperScarySnakes have announced that Black Future ‘88, the 2D synth-punk roguelike action shooter, will launch on Nintendo Switch™ in 2019 as a console exclusive. Set in a grim alternate history where it’s always 1988, Black Future ‘88 puts players on a non-stop dungeon-crawling ascent against homicidal robots, cutthroats, bosses and more to exact revenge on the man who destroyed the world. Genre-defining skate-em-up OlliOlli finally makes its debut on the Nintendo Switch. Developer Roll7 and publisher Good Shepherd Entertainment have been working hard to bring the award-winning 2D side-scroller to Nintendo’s latest platform. OlliOlli’s fast gameplay and simple controls make the game a perfect fit for the Nintendo Switch. 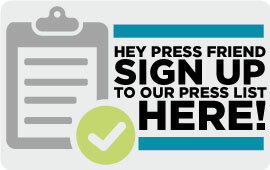 It’s been a while since genre-defining skate-em-up OlliOlli first tickled the thumbs of trick-hungry gamers. 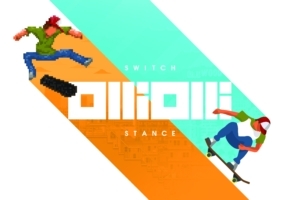 After multiple successful releases on various platforms, board lords Roll7 and sprained-ankle amateurs Good Shepherd Entertainment are here to announce the forthcoming launch of OlliOlli Switch Stance on Nintendo Switch on February 14th 2019.